Inez wanders a post-pandemic world, strangely immune to disease, making her living by volunteering as a test subject. She is hired to provide genetic material to a grief-stricken, affluent mother, who lost all four of her daughters within four short weeks. This experimental genetic work is policed by a hazy network of governmental ethics committees, and threatened by the Knights of Life, religious zealots who raze the rural farms where much of this experimentation is done. When the mother backs out at the last minute, Inez is left responsible for the product, which in this case is a baby girl, Ani. Inez must protect Ani, who is a scientific breakthrough, keeping her alive, dodging authorities and religious fanatics, and trying to provide Ani with the childhood that Inez never had, which means a stable home and an education. 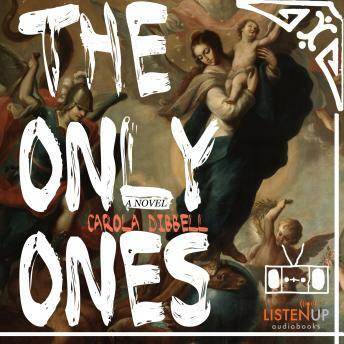 With a stylish voice influenced by years of music writing, The Only Ones is a time-old story, tender and iconic, about how much we love our children, however they come, as well as a sly commentary on class, politics, and the complexities of reproductive technology.